Already the word of “freelance” can provide about individuality and self-reliance; therefore people born under this sign are exceptionally independent. They straight out adore when are free and can do everything, whatever they like. They have high ambitions and do not like when something limits them. They want to explore new and acquire interesting experience. 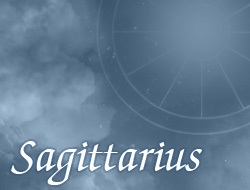 Persons under the sign of Sagittarius want to have exceptional sense of freedom; therefore appreciate freedom in life. Often tend not to be involved into a stable relationship, since then they would feel very limited, and after all they like to have fun. They aren't very fond to repeat the same materials in learning, because along with time they consider that it is too boring and time consuming. Definitely try to avoid routines of everyday life, lead a lot of variety into their life. Thanks to that they aren't bored, and every day provides them new experiences and emotions that are so important in the life of every Sagittarius. In their life they seek to find the truth and love, however don't rush to it. If they already find their dream second-half, are permanently fall in love. Sagittariuses must watch out, because they might want to be in many relationships, which is not a normal thing.